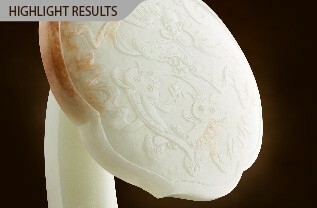 Founded in 2013, Marchance Auctioneers is the first Hong Kong auctioneer specialized in antique and ancient Chinese jade. We are the auction in Hong Kong rising in Chinese Painting, Calligraphy, Chinese Ceramics, Buddhist Figures and Chinese Works of Art. Besides, our consignment also includes the following categories: Ancient Chinese Bronze, Porcelain, Lacquer, Gold and Silver Wares, Teapots, Seal Art, Stamps, Coins, Tea, Wine, Agarwood, Watches and Jewelry. 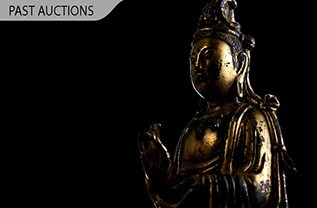 Marchance Auctioneers first began as a unique art auction company in Hong Kong with special expertise in the Jade market. Antique Jade represents a supreme cultural status, while also a symbol of personal status and sophistication. . We fast recognised antiques as having tremendous potential amid the market and now, we pride ourselves on sourcing only the best and most mesmerising Jade pieces. We are the Chinese painting auction and antique auction in Hong Kong. We provide auction estimates free of charge, and to assure both flexibility and excellent customer service, while striving to meet the specific needs of our consignors. With a professional team of international specialists and experts, Marchance Auctioneers Hong Kong has built up a worldwide network of collectors, dealers, galleries and associations to achieve rare collection consignment at a reasonable estimate price. Marchance holds regular spring and autumn auctions of art, antique and Chinese painting with real­time online bidding and telephone bidding, providing complimentary auction estimate service. And to meet special needs, we also provide tailored service of private sales, offering professional consultation. To meet your special needs, our art auctioneer and team of specialists can provide a tailored service, whereby private sales are available. Whether you’re interested in buying a Chinese painting or a general antique, we offer a professional consultation for each auction in Hong Kong. For further information or to make an enquiry, please contact us via email enquiry@marchance-auctioneers.com or to speak to the specialists from our team, call us at +852 2868 6938.